BogusBoxes.com - Fake Products. Great Gift Boxes. Put Your "Crummy Gifts" in Our Clever Gag Gift Boxes. Need a rush shipment? Call us. Need to order more for office gifting or party favors? Additional boxes shipped at a discount. Over 10 boxes, call us for a quote. If you're like us, you're probably wondering why no one has gotten around to inventing one of these devices for our cars. We can't tell you how many times we've given the old "middle finger" to a tailgater, a horn-honker or a light-flashing maniac - and we're pretty aggressive drivers to begin with. 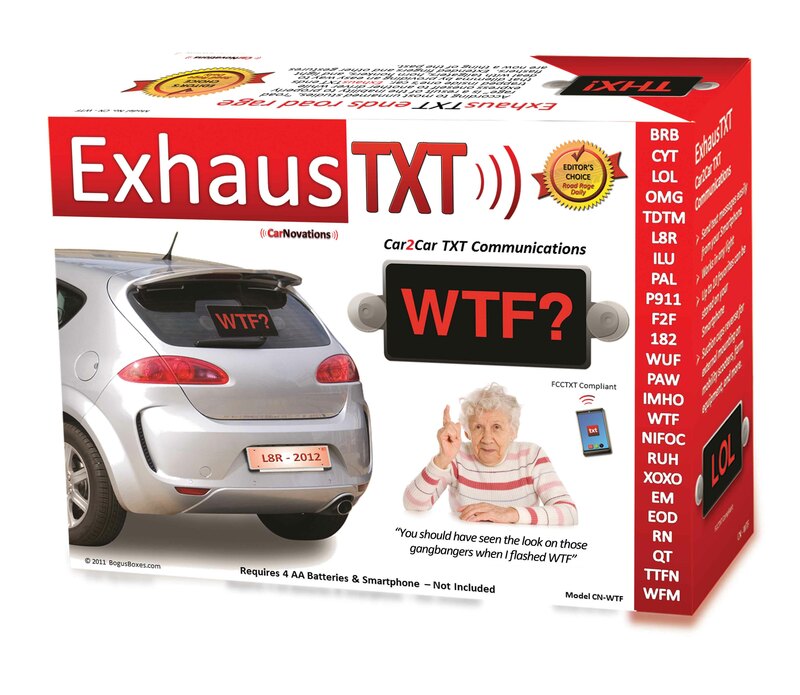 How great would it be to simply 'text' a message to your rear car window - something like WTF? Or better yet, how about the optional symbol generator we conjured up that creates electronic hand gestures? It's a heck of a lot safer than sticking your hand out the window while going 65 MPH. And besides, some of us live in the frigid north. Who wants to go around all day with a blue middle finger from frostbite? Well the product might not be here - but the gift box sure is. Take a look at the pictures below, and then skip down to read how this gadget is supposed to work, and watch one of our top designers create one of these gag gift boxes..
Or we guess that you could just follow their fun. Anyway, we've made it simple with this fake product. Basically, you just sit in your chair and direct the camera/camcorder remotely from your smartphone. The camera turns 360 degrees to see everything that's going on in your yard, at your neighbor's party, or what have you. But wait! There's more! We always wanted to say that without having to give away Ginsu™ knives. 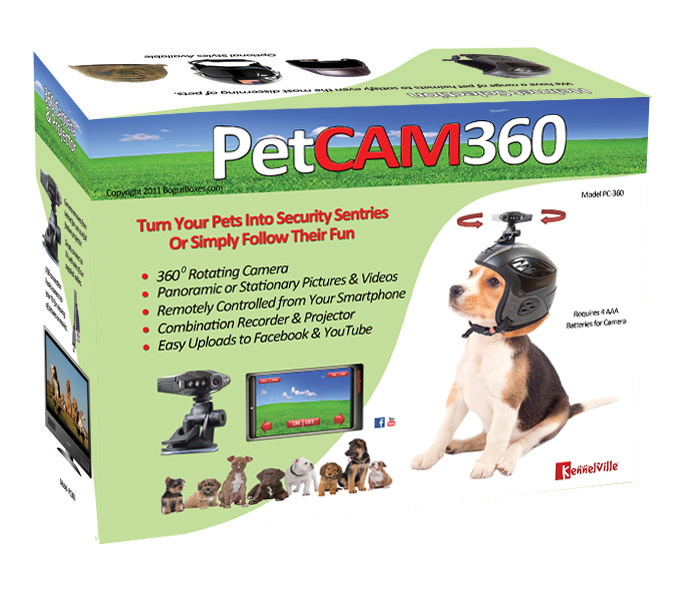 Our PetCAM360 can actually 'record' in panoramic or fixed mode. Neat, huh? But we went over the top with our design and made the camera a mini-projector as well. So you get a choice. Download your pet's videos or pictures to your smartphone for uploading into Facebook™ or YouTube™, or simply play them directly on your television - or you phone. Simple phone buttons control everything. Over 5 of the 2-Pack, call us for a quote.